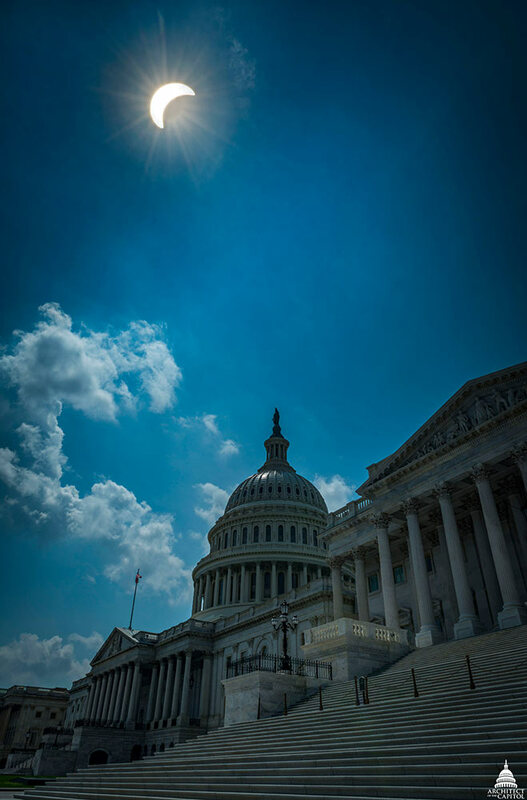 This has been a year of many great moments at the Architect of the Capitol (AOC) and on Capitol Hill. Before we dive into 2018, here's a look back at some of this year's highlights. 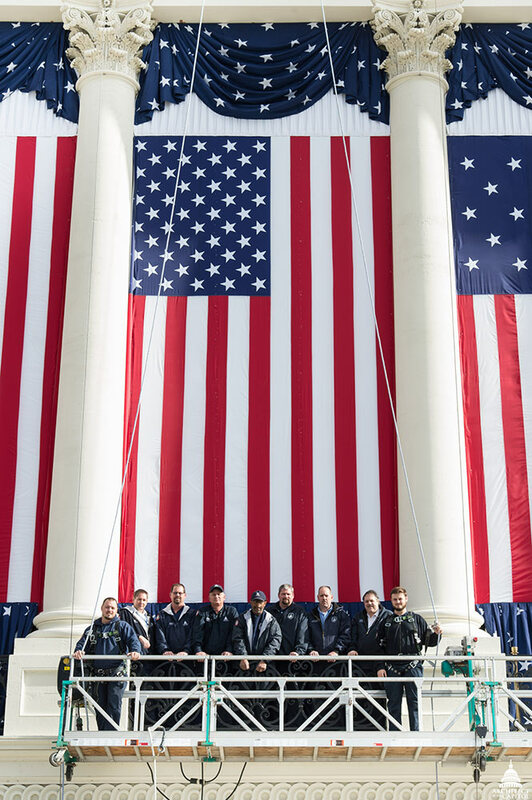 The presidential inaugural platform on the U.S. Capitol's West Front had its chance to shine on January 20, 2017. 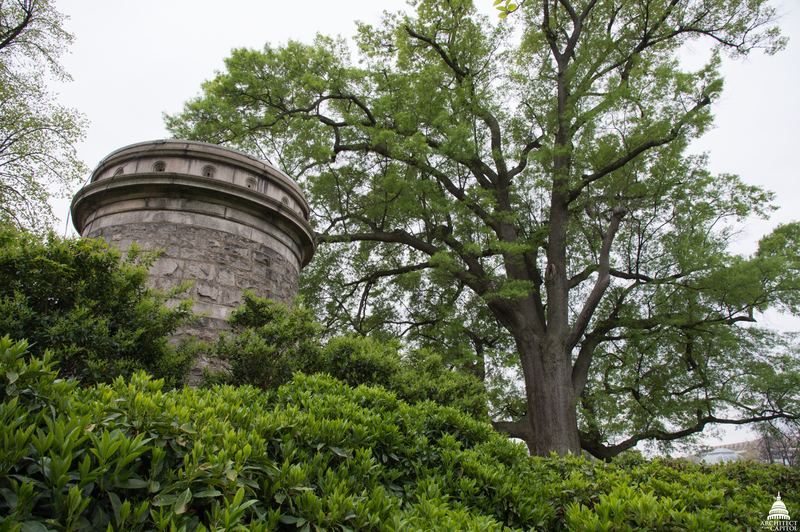 In February, the U.S. Capitol Grounds was named an accredited arboretum and is now listed in the Morton Register of Arboreta. 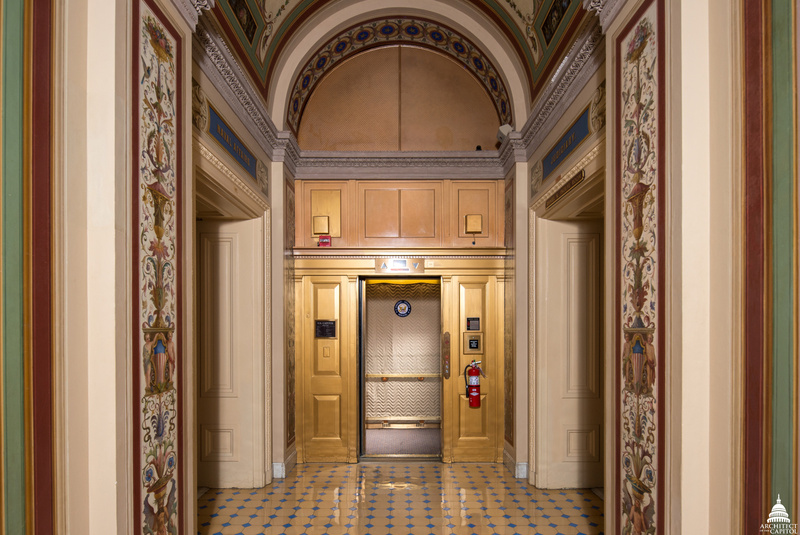 A celebration of the passenger elevator's birthday in March led to a search for our own historic first elevator at the U.S. Capitol. 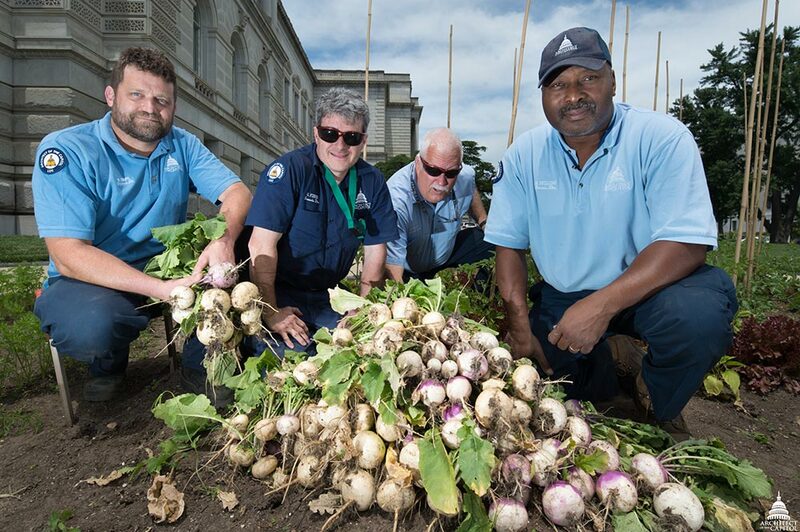 Period-appropriate "War Gardens" planted at the Library of Congress led to more than 400 pounds of produce being donated to a local nonprofit. 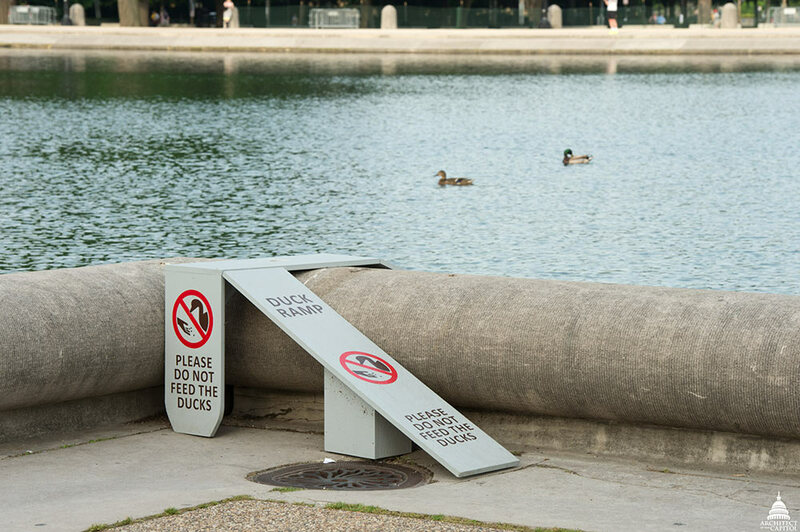 The AOC collaborated with City Wildlife to build ramps for the Capitol Reflecting Pool to safely and effectively assist ducklings in and out. 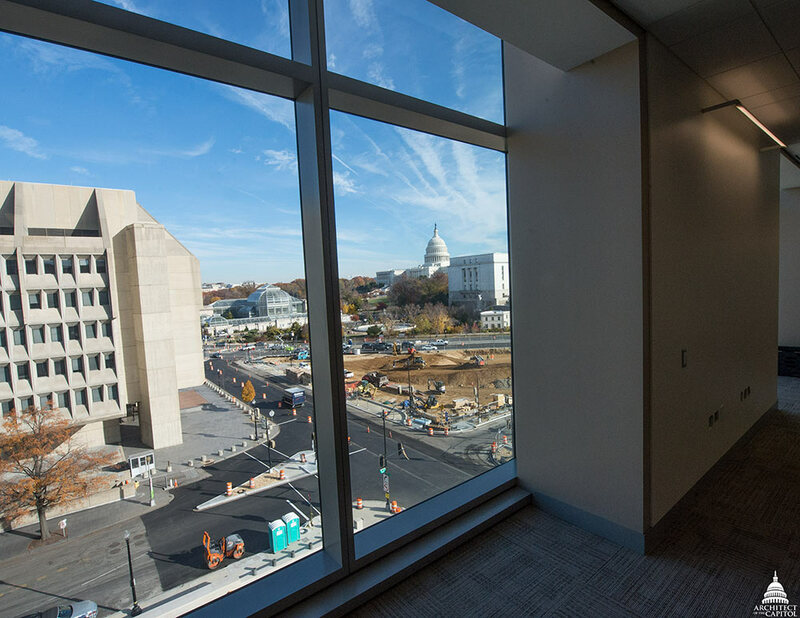 Care of the O'Neill Building was transferred from the General Services Administration to the AOC in June. 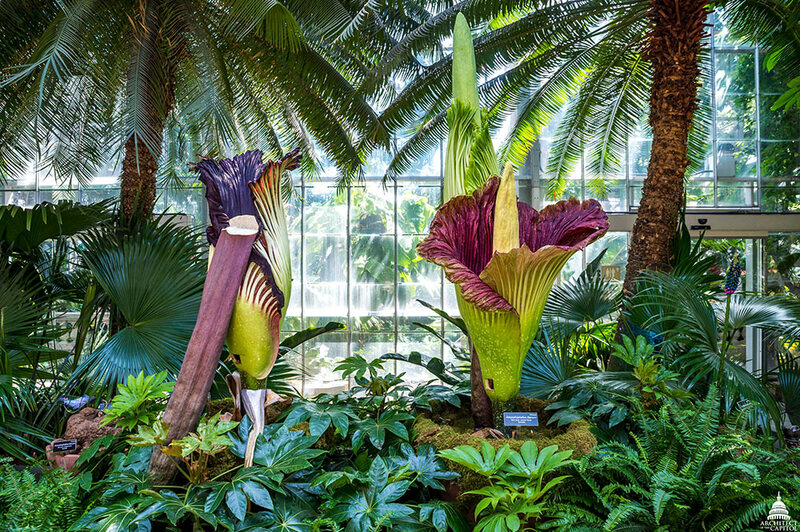 All eyes were on the skies in August as the solar eclipse passed over Washington, D.C.
For the first time in the history of the U.S. Botanic Garden, not just one but three corpse flowers (Amorphophallus titanum) bloomed at the Conservatory. 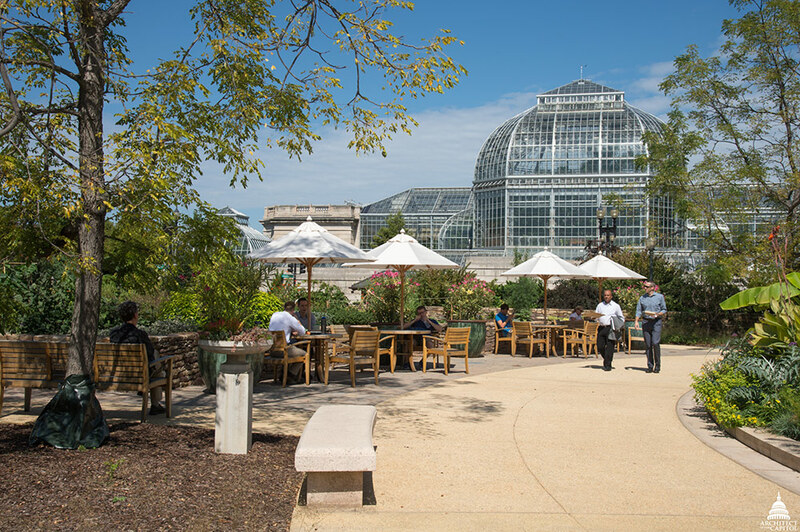 The park's pathways are now accessible, access to the American Veterans Disabled for Life Memorial is improved and new lighting increases safety in the park. The renovation also incorporated the five main focus areas of sustainable landscaping. 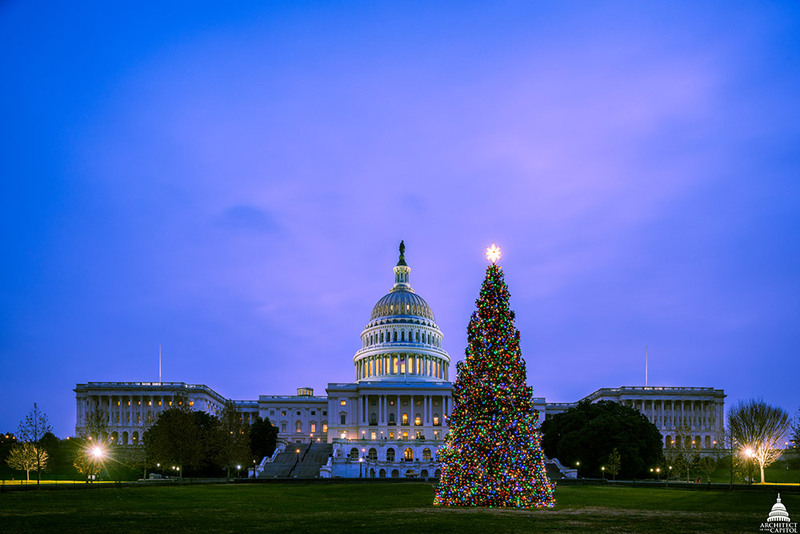 The U.S. Capitol's West Front shined again with the Capitol Christmas Tree lighting ceremony. This year’s tree is from the Kootenai National Forest in Montana. Very nice articles I thoroughly enjoyed them.